This University Teaching Gallery installation examines the contested relationship between art, justice, and African American culture from the 19th through 21st century in the United States. 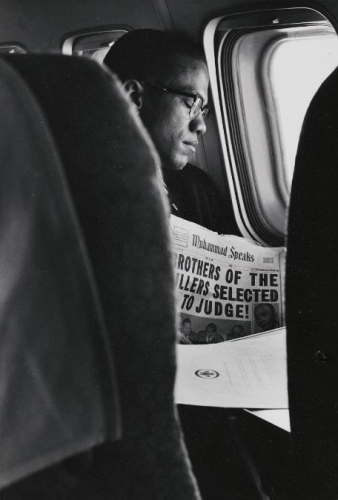 The over 40 works on display range from prints by Kara Walker and Glenn Ligon that challenge the nexus between vision and justice during slavery to photographs by Bruce Davidson and Gordon Parks that synoptically summarize events from the segregation era through the civil rights movement. This installation complements a course taught by Sarah Lewis, Assistant Professor in the Departments of History of Art and Architecture and African and African American Studies, Harvard University, and is the conceptual companion to the recent “Vision & Justice” issue of Aperture magazine, guest edited by Lewis. The University Teaching Gallery serves faculty and students affiliated with Harvard’s Department of History of Art and Architecture. Semester-long installations are mounted in conjunction with undergraduate and graduate courses, supporting instruction in the critical analysis of art. The installation is made possible in part by funding from the Gurel Student Exhibition Fund and the José Soriano Fund. Modern and contemporary art programs at the Harvard Art Museums are made possible in part by generous support from the Emily Rauh Pulitzer and Joseph Pulitzer, Jr., Fund for Modern and Contemporary Art.